WWII Veterans from Honor Flight Mississippi were joined by Honor Flight Oregon WWII Veterans today in a little “civil unrest”. 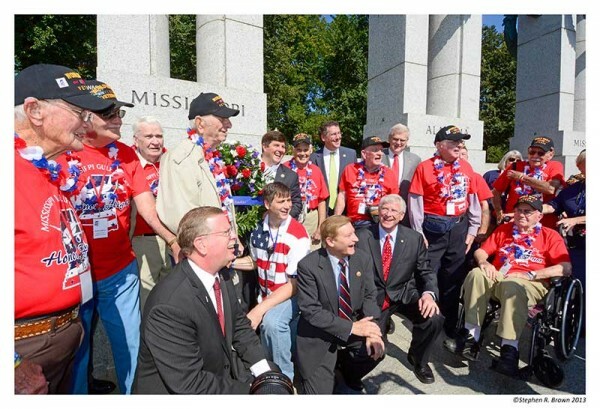 An exciting day for our WWII Veterans made a little more exciting by some “civil unrest.” Another photo for “WWII Memorial” Jewel of the Mall’s” next edition! 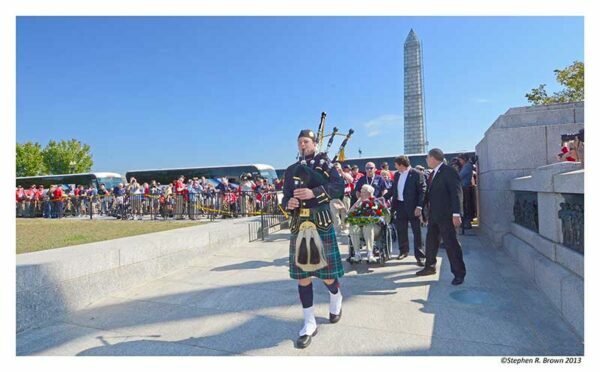 It’s interesting how Honor Flight has become ensnared in this latest political debate and more interesting how appreciated our National Mall has become to all of us who visit it frequently. 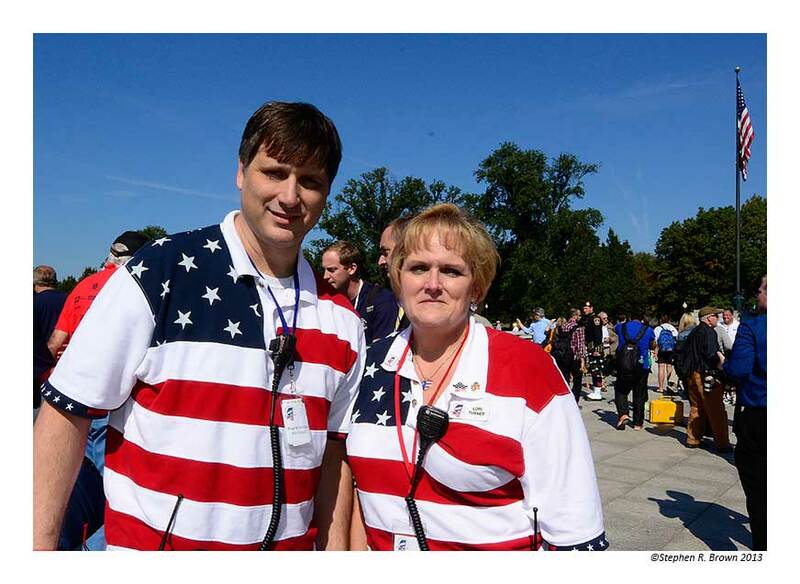 Lorrie Turner and Wayne Lennepp in front of the barricades upon arrival at Memorial. 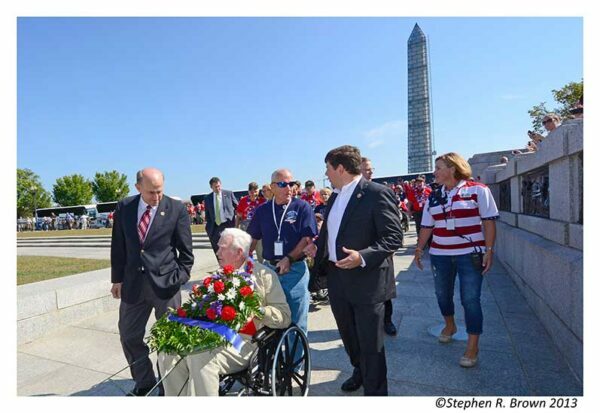 This was a planned event and was supported heavily by at last count two Senators and twelve Congressman so if you are an Honor Flight hub leader, make sure yours is in tow when you arrive at the Memorial. 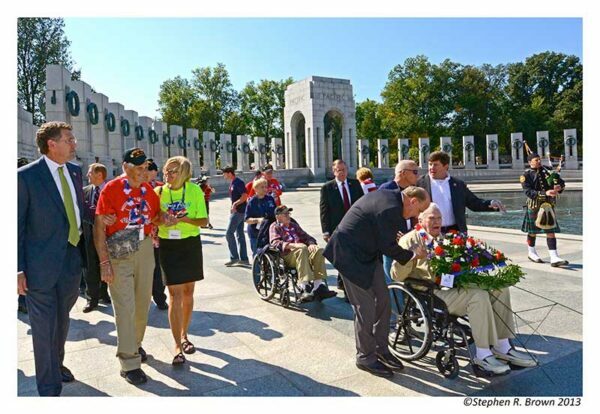 October 1, 2013 | Filed under About the Book, Blogs, Honor Flight, Photography, WWII Memorial.